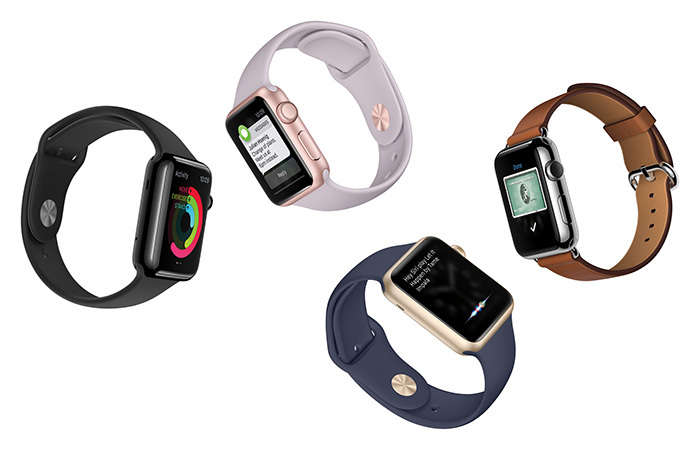 Apple® today (09/09/15) introduced beautiful new Apple Watch® cases and bands, available starting today, including new gold and rose gold aluminum Apple Watch Sport models. Since its release, Apple Watch has helped users receive and respond to notifications, interact by simply speaking to Siri®, conveniently use Apple Pay™ and track their health and fitness activity. watchOS™ 2 arrives as a free update on September 16 and further enhances this groundbreaking experience with new features and native third-party apps. Apple Watch Sport’s lightweight anodized aluminum case now comes in two new beautiful colors, gold aluminum and rose gold aluminum paired with high-performance fluoroelastomer Sport Bands in lavender, antique white, stone and midnight blue. Apple Watch joins Apple’s commitment to (PRODUCT)RED with a stainless steel case and a (PRODUCT)RED Sport Band with a portion of the proceeds going to the Global Fund to fight AIDS.